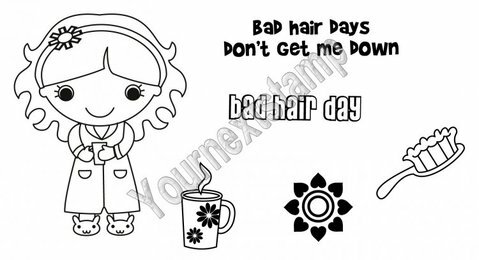 Your Next Stamp Challenge #39~Stitching Real or Faux! 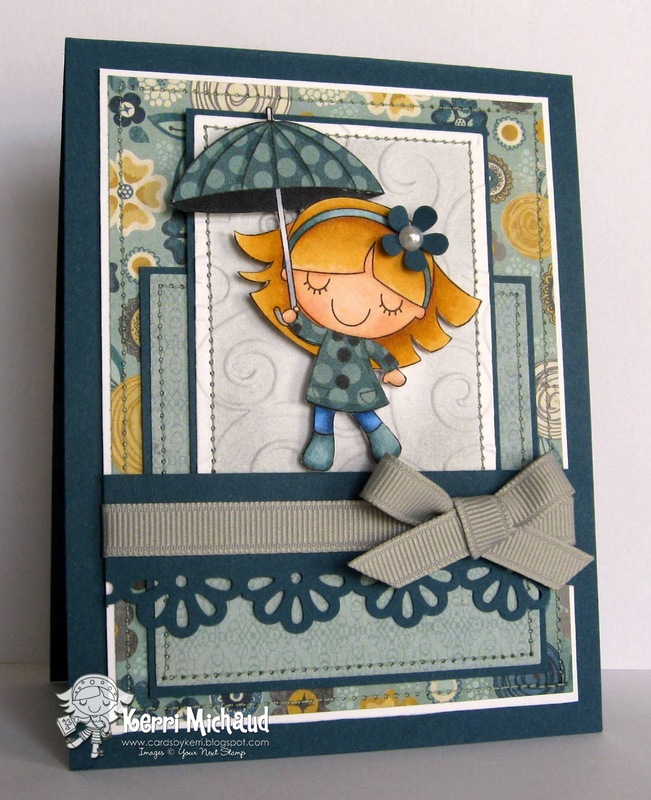 The rest of the DT have made so many cute cards by paper piecing Rainy Day Fhiona, so I wanted to give it a try:) I used some fun dp from the My Mind's Eye Hattie paper pad and the layout from this week's The Sweet Stop Sketch Challenge #101. My kiddos are on spring break this week, so we are heading to the beach tomorrow for a couple days. Hopefully it won't rain the whole time! Also, my hubby and I are celebrating our 11th wedding anniversary this weekend and plan to go out for a special anniversary dinner on Saturday. My taste buds are already watering as I anticipate my filet. I LOVE a good steak! Have a wonderful day! Oh and have a great time at the beach and happy anniversary! OH WOW!!! The papers you picked are so perfect, the cloudy gray look is so perfect, it makes me feel the rain on this card. I also adore that Sketch. This card is truly fabulous!!! Have fun at the Beach and Happy Anniversary - Congrats. 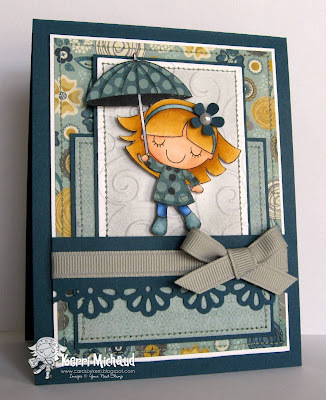 Kerri this is fantastic I love the paper piecing and beautiful border punch! Have a great time at the beach and Happy Anniversary! This is just gorgeous Kerri!! I just love your colors and your stunning coloring and paper piecing. You never fail to inspire me. This challenge was up my alley as well!!! Sounds like you have a lot of fun planned!! Happy Anniversary!! Enjoy your time at the beach and your dinner!! I seriously cannot stand how awesome you are! This is GORGEOUS to the max! STUNNING coloring, color combo, paper choices...it's all totally PERFECT!! Absolutely gorgeous! Your coloring is amazing and I love the paper piecing. Oh!!! I love this card, the paper piecing and all the beautiful little details like the flower and pearl! Such a wonderful card! Have a great trip and a wonderful Anniversary dinner! She is so cute! Fun layour and great papers all around. AWW this is sooooo FABULOUS Kerri I LOVE LOVE your colors and texture girl! Your stitching is FABULOUS TOO!!! LOVE this! Your cards are always so full of wonderful details, but I am REALLY lovin' this one! Great paper-piecing and perfect stitching...all around gorgeous card! GORGEOUS coloring! I love love LOVE this sweet card!! Such a lovely card! I hope Courtney gets to together! Oh too cute!! I love the new images and the paper is one of my new faves! I hope you have a great time at the beach with your family! Totally adorable!! I love your coloring and that great color combo.